Photos around the small community of William Creek on the Horace and William Creek Railroad. It is an On30 modular layout. This is the first of hmmmmm; how many can I build? The hotel, is from Banta. The office and the little brown shack in the background are from BTS. 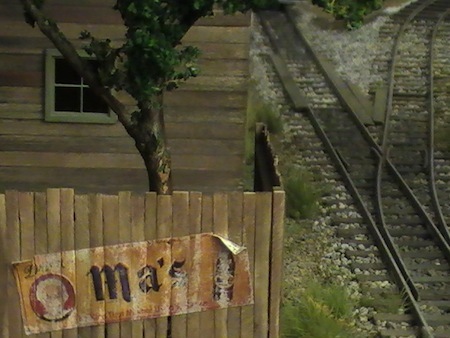 The retainer wall and fence are both scratchbuilt and all the rail is handlaid on wood ties. I then use pliobond with heat, to fasten the rail to the ties. The turnout is a Model Engineers. I haven't quite gathered up the courage to handbuild a turnout yet. For me, the scenery is most important in this hobby. It gives the railroad something to run through. Just as it does in real life. It must look as though nature has been removed to make way for the railroad and all the structures to support it. The structures and the railroad have to appear to be an intrusion. After all, isn't that the way it is? The scenery is primary, everything else is secondary. It is just the way my ole thinker thinks. 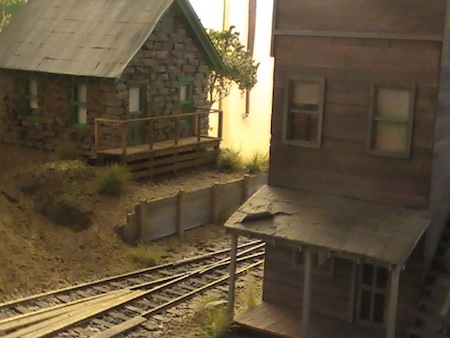 Dave Coble's Horace and William Creek Railroad from Greg Warth on Vimeo. 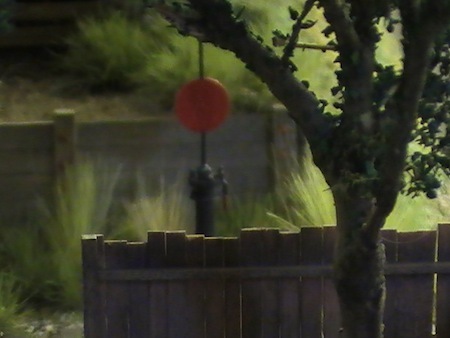 Also see Dave's page on how to make trees using juniper snippets. From "Horace and William Creek Railroad" to "Train Photos"